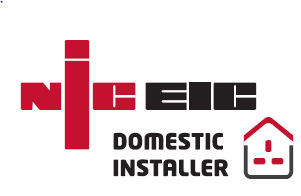 Diligent Electrical are London-based, established electrical contractors. We provide a reasonably priced professional service to all our clients in London and the surrounding areas. Our work ranges from full re-wiring to fixing a single socket we take on all jobs big or small we also offer a maintenance service for domestic and commercial properties. Our main priority at Diligent electrical is safety that’s why all our electricians are fully qualified to 17th edition regulation and are all highly skilled engineers. These guys were great i had a fault with my lighting and have had over 3 electricians look at the fault the guy who came round from diligent electrical was clued up and sorted my problem. Purchased new property and hired Diligent Electrical to re wire the whole property and they done a good job, we are happy with the service they provided and will be keeping there details for the future. Great working with Diligent Electrical i had a project to rewire a few properties and these guys were very professional and easy to deal with id used them again any day. Diligent Electrical has helped us again, bailing my mum out of all her electrical wiring problems left by all these 'cowboy electricians'!